Donovan & Lyndal de Ligt built their own Paal home with the help of friends – and are thrilled with the final result. “It was fantastic the way it all came together, even though I’d never built a house before. I could tell that the Paal system was very well thought out,” Donovan said. Progress was rapid, thanks to contributions from a willing group of family and friends, especially Donovan’s brother Robert and his wife Jodi. The team did all the construction work, apart from contracted tradesman for the concrete slab, chimney brickwork, plumbing and electrical wiring. 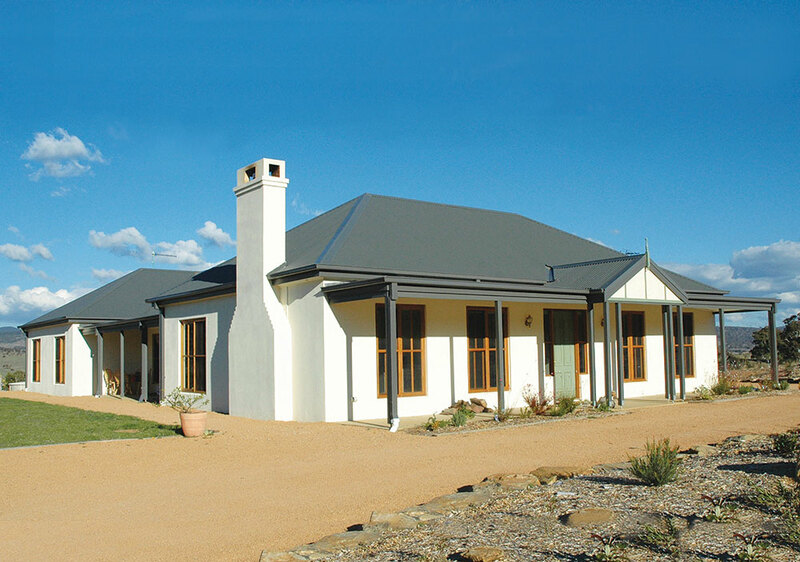 Woodland Grey Colorbond roof sheeting was chosen to complement the CSR Hebel aerated-concrete wall cladding, which was rendered and painted cream. The veranda uprights, gutter and facia were also Woodland Grey, while pale green was chosen for the front door and feature gables to ensure the house fitted in with its bushland setting. Oiled western red cedar window frames completed the picture. “Cladding the walls ourselves rather than using a brickie saved us $10,000,” Donovan said. 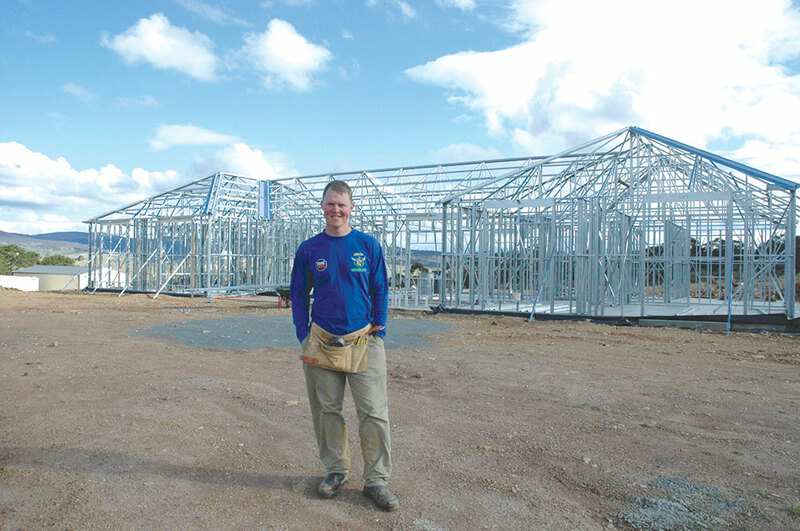 Undertaking the framing, roof trusses and roof sheeting meant further cost savings. “If we weren’t owner building we would have ended up with a much smaller house. Tackling it ourselves meant we were able to build our dream home now instead of in 10 or 15 years,” he said. Donovan and Lyndal estimated that they saved themselves at least $100,000 by completing about 80 per cent of the work without using tradespeople. “Keeping costs down helped ensure we got the end product we were after. We never had to compromise on room sizes or fittings. “Overall, it’s been a great experience. I feel proud of the house every time I come up the driveway,” Donovan said.